This post brought to you by BIC®. The content and opinions expressed below are that of http://thevspotblog.com/. At Christmas time I love to get creative with my decor. Sometimes that means making my own decor! 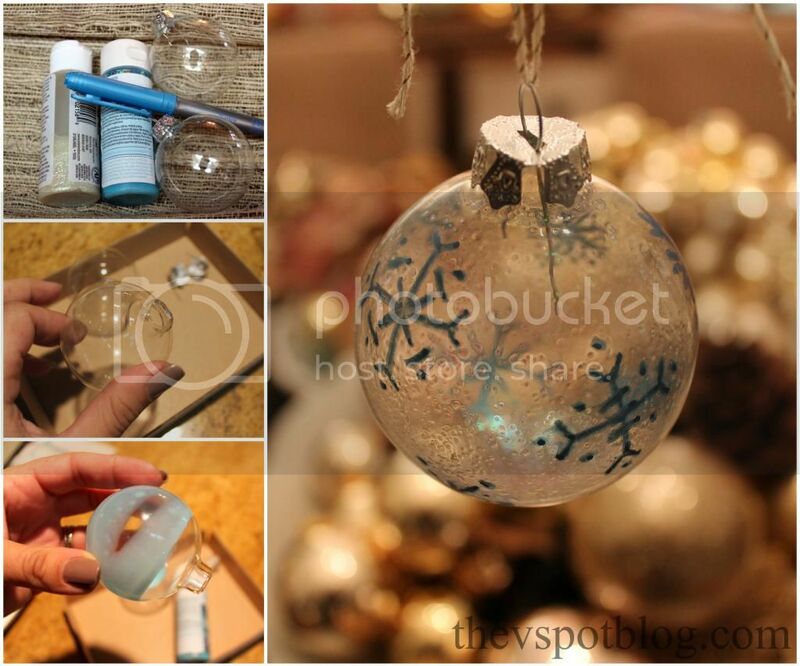 These DIY ornaments are easy to make and look like they’re coated with ice. 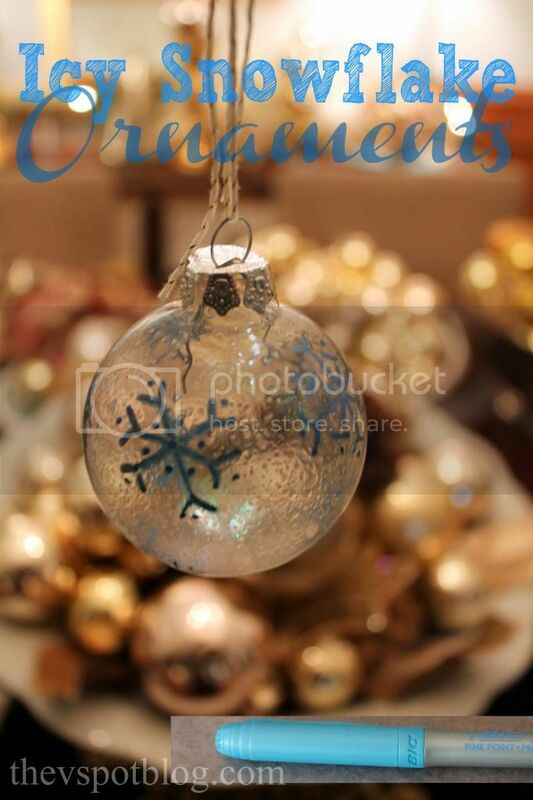 To make these icy ornaments all you need is a few plain glass ball ornaments, some glitter paint and BIC Mark-It® permanent markers. See? Easy and pretty. Just my kind of project! So pretty! I love the shine!